It started with President Donald Trump’s attacks on Canadian dairy farmers. Then Washington slapped tariffs on Canadian steel, citing national security. TORONTO — It started with President Donald Trump’s attacks on Canadian dairy farmers. Then Washington slapped tariffs on Canadian steel, citing national security. There was that disastrous G-7 summit in Quebec. Now it’s a new North American free trade agreement that excludes America’s northern neighbor. About 75 percent of Canada’s exports go to the U.S. so the tariff threat looms large after Trump snubbed Canada and reached a preliminary deal with Mexico. LaLa Bistro, owned by the Lajeunesse family, is among Canadian businesses that are boycotting California wines, American ketchup and other U.S. products in protest. Some Canadians have cancelled U.S. vacations, particularly after Trump assailed Canadian Prime Minister Justin Trudeau at the G-7 meeting in June, calling him a “weak” and “dishonest” back-stabber. 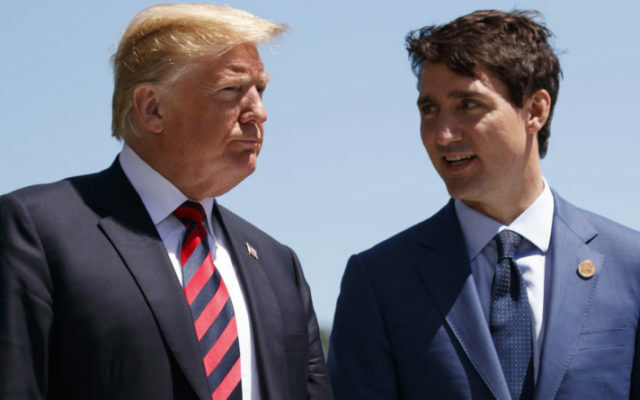 To read the rest of “Canada stunned and worried about Trump trade threats,” an article by Associated Press writer Rob Gillies, please follow this link to the BDN online.